Any android developer who’s familiar with Android Emulator knows that it can be such a task to start the emulator and run an app. The process is usually so slow and taxing. This is where Genymotion comes in. This tool offers a free hardware-accelerated Android emulator which is blazing fast. This saves you a great deal of time. Corona SDK is a cross-platform framework geared towards the development of 2D games, but it can also be used in creating other kinds of apps. This tool makes use of Lua, a programming language which is really easy to learn. Plus, it offers a real-time stimulator, making app testing much easier. This free tool is proudly created by Corona Labs, and it enables you to publish on Android and other platforms like iOS, Windows, or Kindle. Here’s a neat and handy web-based mobile prototyping and storyboarding tool that enables you to quickly create native-looking mockups. You can try it for free, but its paid version is just affordable. It starts at $10 a month and smoothly unlocks the ability to share clickable PDFs and prototypes of your outputs. As you get on with the job, you’d need some splash screens, icons, and other Android graphics. AppIconSizes.com is designed to auto-generate all of the files you need (including the portrait and landscape versions) from one image and make the correct folder structure needed for Android. Once done, you can easily download, unzip, and copy the fed icons and splash images into your project. It’s simple, time-saving, and most importantly, free of charge. Is your mobile app teeming with usability bugs? Does it make use of location-based services? Are you working as a team of developers that needs to efficiently manage the app versions? If so, you’ve got to have some kind of app distribution and app testing service. Give Ubertesters.com a try and see the difference. 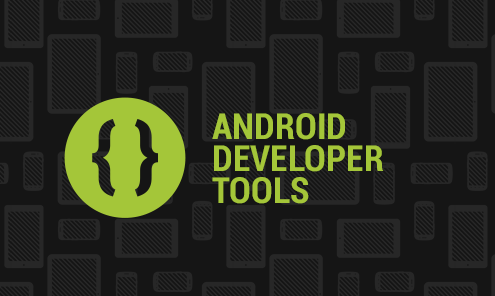 As you may have known, Android mainly uses Java, so you definitely have to master it. To make this job more effortless, you’re free to maximize the The Java Tutorials. It covers the fundamental features and concepts of Java. It also helps you generate the GUI or Graphical User Interfaces. It stores dozens of thorough lessons available in web pages and gathers hundreds of examples for you to use. To do your job efficiently, knowing some of the most useful tools can go a long way. If you still haven’t tried them, check them out and explore more tools that are just within your reach.